Description:It is the swanky look of these oriental rugs, that makes them focal point in drawing room, bedroom, dining room and other places. With an objective to fulfill the demands of our clients, we are engaged in providing a wide array of Rajasthani Hand Oriental Rug. 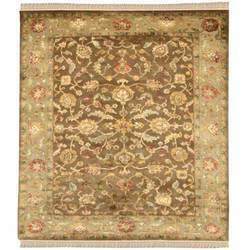 We deal in a vast range of fine oriental rugs with reasonable prices. We enjoy the trust of our clients worldwide and have acquired a reputation for being amongst the most innovative, knowledgeable and professional companies. Tufted carpets offer the same versatility in terms of color, pattern and texture as the knotted carpets. They are the ones that can be easily mistaken for the oriental rugs. They are a type of piled carpets that do not involve any knotting but simple tufting of the pile. 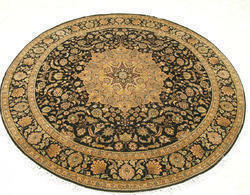 They are much more economical than the traditional knotted rugs. Our Home decor range consists of Wool carpets, Oriental , Persian and Custom made rugs, we also stock Teppiche, Allied, Southwestern, Bizarre, Kashan rugs and antique oriental rugs & Floor area carpets.